Join SEMrush for an information-packed round table discussion with four industry experts on the topic of the Most Harmful SEO Mistakes! Andy Drinkwater, Bastian Grimm, Eric Enge, and Nick Wilsdon will be taking an in-depth look at the top most harmful SEO mistakes that are detrimental to your website's health and also will go over what steps to take to fix them. 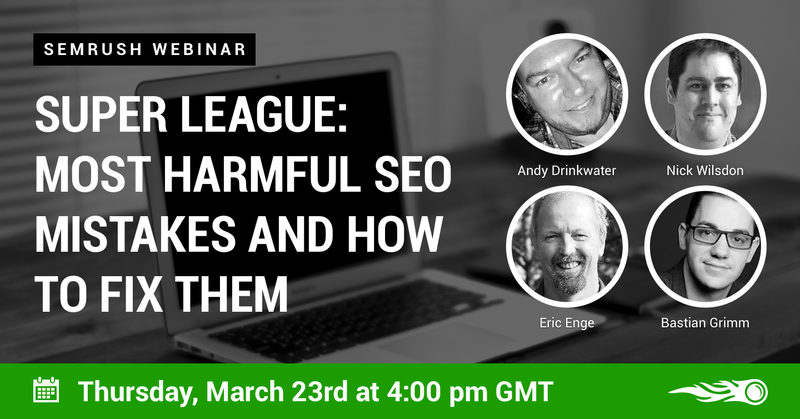 If you care about the state of your SEO, you will not want to miss this round table!